Most of West Ham United’s summer signings have gone on to be somewhat of a success story this season, and he same goes for attacker Andriy Yarmolenko, who was relatively unused at the start of this Premier League campaign. However, since Manuel Pellegrini started him against Everton a few weeks ago, he has taken the team by storm – and he is not showing any signs of stopping any time soon. Nevertheless, the way he has responded to the criticism of an Ukrainian commentator was completely embarrassing, and left him looking desperately trying to prove himself. 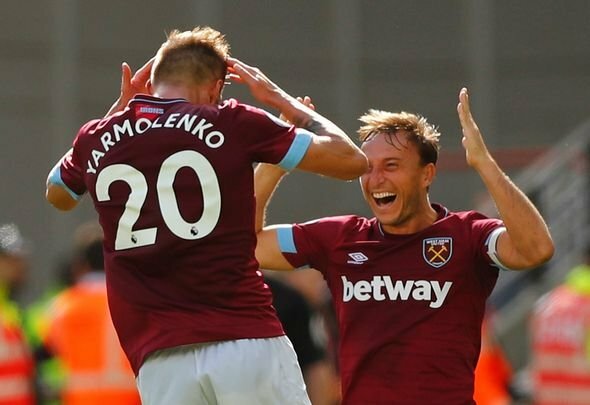 The commentator in question – Wladimir Kobelkov – has laid into the ace’s performances for the Irons, and Yarmolenko has not taken too kindly to them. “In my youth I fought very often. I want to announce my upcoming bout. I can no longer listen to this Kobelkov, as he commentates. I want to call him into battle and take revenge on him for all the words he uttered on the air,” he told X Sport. Yarmolenko is a hugely talented player and there is no need for such comments – if anything, it is his technical ability that will do the talking. He can prove the pundit wrong if he continues to churn out the consistent displays that he shown in a short space of time. The international has established himself as one of the Hammers’ key dangermen in recent weeks and this is rather impressive considering that he has only started a few games under Pellegrini. It is bizarre that Kobelkov has criticised Yarmolenko in the first place – and it is only right to ask whether he has been watching the same player as everybody else. West Ham are incredibly lucky to have a talent like the 6ft 3in [Transfermarkt] star amongst their ranks – but he must not take the criticism to heart, as he has nothing to prove.